Watch the NYC Salesforce World Tour Online! 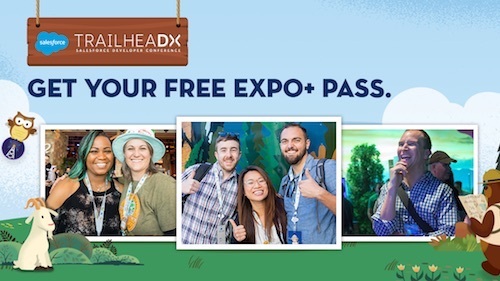 We know not everyone can join us in San Francisco each year for Dreamforce, so we make it a priority to bring all the goodness of Dreamforce to you, wherever you are, with a series of Salesforce World Tours events. The 2018/2019 tour recently kicked off in Los Angeles and Dallas, and will visit Atlanta, London, and New York City before year-end — with more on the horizon next year. Each World Tour follows the Dreamforce blueprint; there will be big keynote presentations and plenty of stickers and character photos shoots to go around. 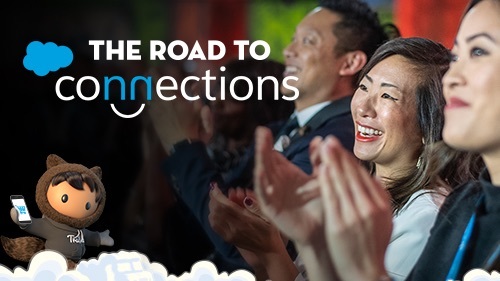 Attendees will learn about all the latest product innovations at Salesforce, connect with fellow Trailblazers, and discover how other companies are succeeding in the Fourth Industrial Revolution. We also add a little something new to each city to keep it fresh. That could be a new customer success story, new Trailblazers, and even (dare we say) new product announcements. All in all, it’s the best of Dreamforce, made more accessible for Trailblazers all over the world. For those who won’t be able to attend their local Salesforce World Tour, we’re also making select events available to an online audience with livestreaming on Salesforce Live. The first livestreamed event will be the New York City World Tour on Thursday, December 13. This event is an extra special one for us because New York City is home to innovation and changemakers, always has been and always will be. We’re thrilled to celebrate our NYC Trailblazers and learn about all the latest game-changing innovations. 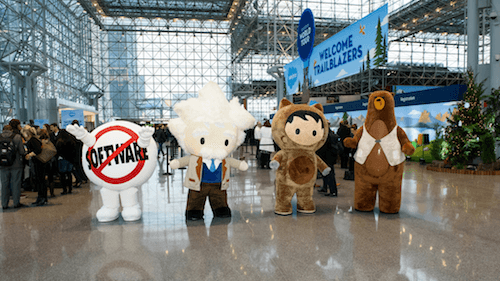 In true Salesforce fashion, attendees will get a chance to mingle with all their favorite Salesforce characters, including Astro, Codey, Cloudy, and more. But since this event will be held in New York in December, you’ll also notice something a little different: snow! Our critters and gathering spaces will be appropriate for the time of year, adding a little something new to what people have come to expect at Dreamforce. Who knows, there may even be a snowball fight? You can catch up on all the fun by following the hashtag #SalesforceTour on Twitter and Instagram. 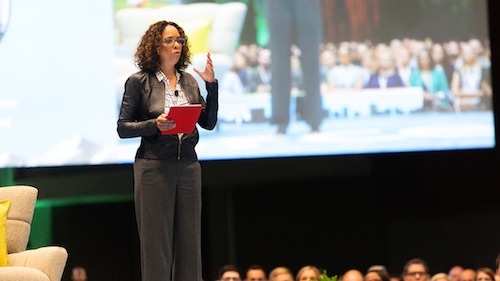 You’ll also be able to catch up on some industry-specific knowledge with the Financial Services (FinServ) keynote and Marketing Cloud keynote — both of which will be livestreamed. FinServ professionals can expect to learn how to bridge long-lasting relationships with their customers with CRM, and marketers will get to see real examples of how the “Age of Intelligent Marketing” is creating new opportunities in their field. Those looking to optimize Sales, Service, Marketing, and Operations can also dive into the Einstein Analytics keynote where you can learn how to deliver algorithmic insights at scale for your business at the moment of action. Salesforce.org is partnering with local NYC public schools to help solve global challenges through technology. Through Circle the School, a San Francisco organization, we’ll host an on-site Kids Coding Camp in New York that will benefit the Water for Life Project. Students at the Kids Coding Camp will use the Salesforce platform to improve environmental impact research, while learning about the causes and effects of microplastics. Anyone can learn more and donate to Water for Life here. World Tours also give us the opportunity to celebrate the local Trailblazers who are making a difference in the community, at their companies, and in their personal lives. The most prestigious way we can recognize the contributions of outstanding community members is by awarding them the coveted golden Trailblazer hoodie. Each World Tour will award a golden hoodie to a local Trailblazer during the main keynote, including in New York. Ask questions and comment on Twitter to get real-time responses using the hashtag #SalesforceTour. We’ll be posting about keynotes, live activities, and more. Plan your schedule early by checking out the full agenda of what’s being livestreamed below and watch here! Stay up to date on all upcoming Salesforce events by visiting the events page here.